The Fitz traverse has been defeating experienced alpinists for years. 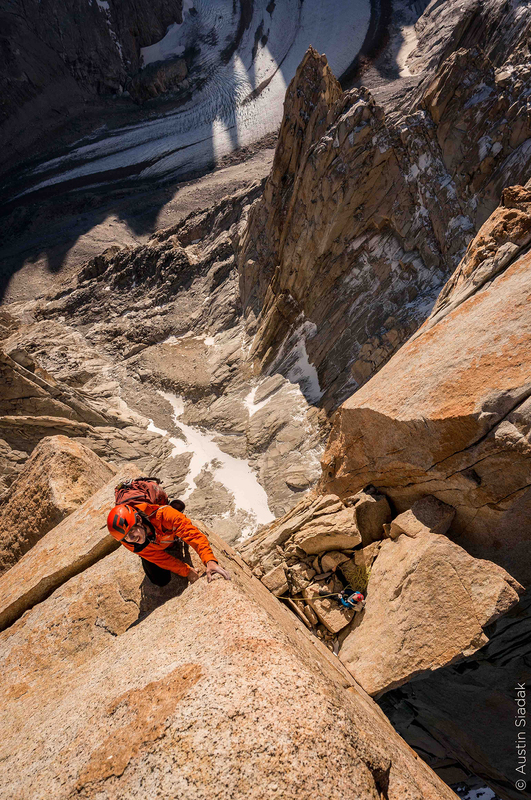 But now, American big wall specialists Tommy Caldwell and Alex Honnold, of all people, have managed to link up all major peaks of the Cerro Fitz roy skyline—a spectacular feat of alpinism. The mother of all traverses: Seven rugged peaks pierced the unpredictable Patagonian skies with 4000 metres of vertical granite. “I don’t think the crampons work that well.” Alex Honnold stands on the Fitz Roy peak. Below him: the outline of icy granite rocks in the dark. Above him: the Patagonian sky with millions of stars. “And how do I put them on again?” Alex asks, looking wide-eyed at his partner Tommy Caldwell. It’s 2:30am as Alex Honnold and Tommy Caldwell reach the third summit of their expedition. They want to succeed where even the best alpinists have failed: To cross the entire Fitz Roy range—the mother of all traverses. Seven jagged peaks, 5 kilometres of gnarly granite with an elevation of 4,000 meters. Tommy and Alex set up camp just below the summit. Alex sits huddled in the tent, his beanie pulled down tight. Tommy films him with a small phone camera. “This is a day we won’t forget any time soon,” Tommy says. The sides of the tent flap in the icy wind. It isn’t much warmer inside than it is outside. But Alex and Tommy try to make the best of it. They will only have a few hours to rest their cold bodies before the first rays of sunlight hit the peak and they have to move on. 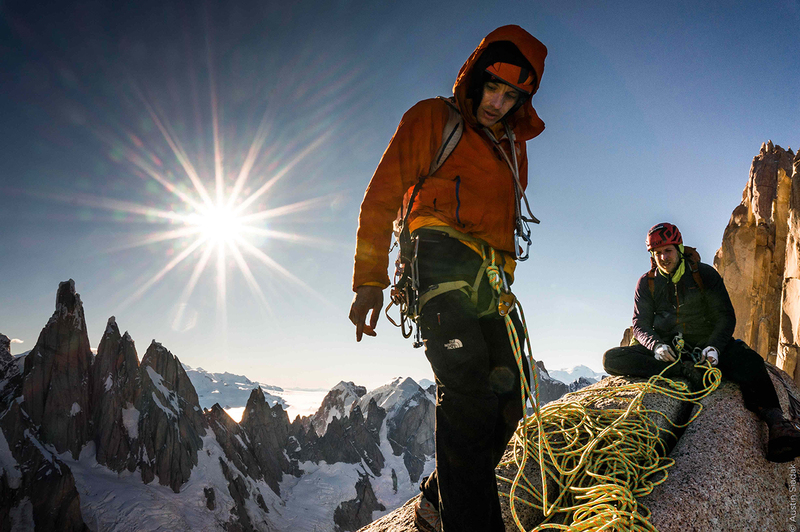 In 2015 Caldwell and Honnold received the highest honour of alpinism for their pioneering traverse—the Piolet d’Or. Alex and Tommy met each other for the first time in Yosemite National Park in spring 2012. 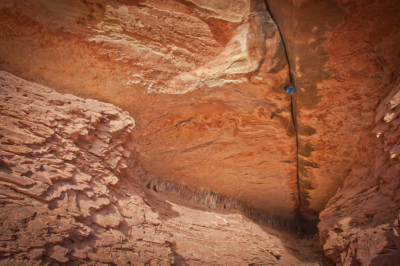 “You know you’re not going to fall,” says Alex, who is renowned for climbing without a rope: Honnold has been the most prolific free soloist of the international climbing community for years. Tommy is both fascinated and concerned by Alex’s approach to danger. In May of that same year, Alex had the idea to climb the three famous faces in Yosemite together with Tommy: Mt. Watkins, El Capitan and Half Dome. when they climbed the first face, the south face of Mt. Watkins, Alex barely used any protection. For Tommy, Alex’s boldness and confidence in his own abilities was contagious. They managed to free climb the three huge faces in less than 24 hours. “What will we be able to climb if we take these techniques to Patagonia?” Tommy wondered back then. Patagonia is known for its spells of bad weather, its unpredictable storms and its summits jutting out from the glacier like angry peaks. 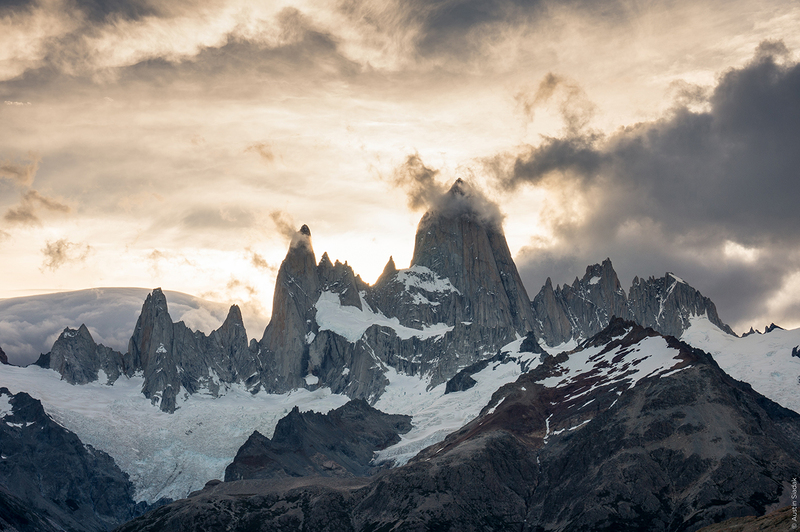 Tommy saw Patagonia’s steep peaks for the first time when he was 27 years old. Together with his friend Topher Donahue Tommy had traveled to the Southern tip of South America in 2007 to climb Fitz Roy (3,406 metres) via the Royal Flush route. As they moved toward the summit, they watched as huge chunks of ice broke away from the peak, shattering into a thousand pieces on the glacier below. “I was sure that we were going to leave without a summit,” Tommy recalls. The storms were too wild, the conditions too dangerous. But a few days later the temperatures rose. They headed out toward Fitz Roy once again using an old trail marker they had found. This time they planned to reach the summit via the Línea de Eleganza. The sky stayed clear, the rock was dry. It wasn’t until it got too dark for them to make out the trail that Tommy and Topher stopped, huddled together on a small, icy rock ledge. They started climbing again as soon as the first light of day pierced the darkness. By daybreak Tommy and Topher stood on top of Fitz Roy. “I’ve never been so alive,” Tommy wrote about that first trip. He’d found his passion. After that, he left boulders and crags behind. He wanted to battle the biting wind, endure the cold and feel the freedom of standing on these exposed peaks. Now Tommy is back, surrounded by the rugged peaks of Patagonia. Together with Alex, who hates the cold and has never used crampons before. Tommy’s hands are shaking. “I wanted us to have an adventure, but this is a bit too much.” Just before reaching the Fitz Roy summit that night, Tommy and Alex have to climb a half-frozen waterfall—the key to the traverse. The damp cold turns their clothes into stiff, immobile suits. Tommy and Alex spend the night on top of Fitz Roy. 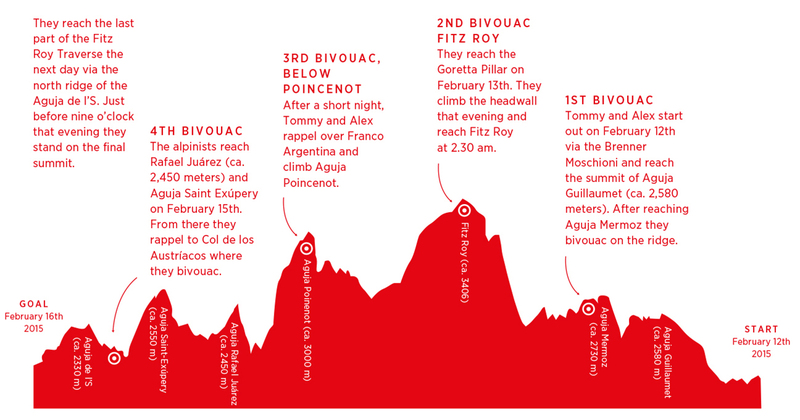 The next morning they rappel over Franco Argentina and begin the ascent to Aguja Poincenot (ca. 3,000 meters). The sun is shining and the good weather is still holding up. Each time Tommy or Alex think they can’t go any further, they find a small crack or a rock ledge no larger than a millimetre to hold onto. Alex walks agilely between the patches of ice, easing into this new environment. Flaps of skin come off their hands and their finger nails are torn. “It’s been a crazy four days,” Alex says on the last evening. They bivouac just below Aguja Poincenot the third night and then rappel back down to climb Aguja Rafael Juárez (ca. 2,450 meters) and Saint Exúpery (ca. 2,550 meters). Six summits. Only one more to go. “I can’t believe we did it,” Tommy says, looking at his hands. Patches of skin have come off and his fingernails are torn. Their tent has holes in it and their shoes are worn through. The climbers sit next to each other in the dark, eating porridge with a pair of broken sunglasses. They don’t have any more spoons. The last few days have been so bizarre that they have to laugh. After the trip, Tommy has some time to think about what he experienced on the Fitz Traverse. He can’t stop thinking about what risks he can afford and is willing to take for alpinism. He tries to keep the risk to a minimum as much as possible. He plans every movement and executes it with precision. Tommy Caldwell and Alex Honnold received the highest honour in the field of alpinism for their accomplishment: the Piolet D’Or. One year later, Tommy once again made history at Yosemite National Park. Together with Kevin Jorgeson he free-climbed the Dawn wall on El Capitan.